We are so happy for Tyler and Emily! Their wedding day was so much fun at Harley's Haven locally in our little hometown. 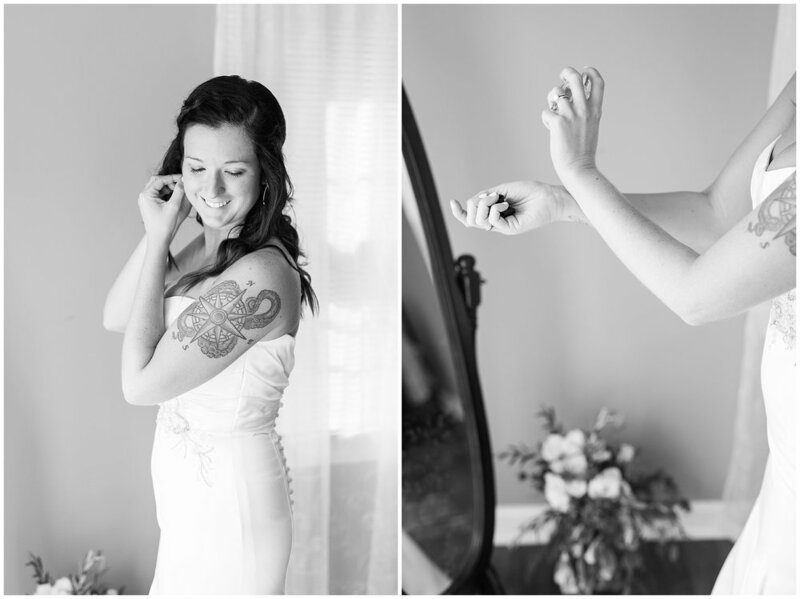 We loved how they totally made the whole day their own, and most of it that you see the bride did herself! She said it was a mixture of rustic and edgy! We did have some rain that made the ceremony have to be moved inside, but after that it was sunny skies for all their photos! I think the bacon covered donuts at the reception were a HUGE hit from Duck Donuts! I mean bacon on anything is a huge hit right?!? HA HA I loved preparing this blog, and remembering all the JOY that filled their day. So much love and laughter surrounded them, and you can clearly see what a blast everyone was having in their reception photos! Emily and Tyler wrote to us after receiving their gallery. from them means so much to us that we were a blessing to them! Many thanks to all the vendors!